Warm with the soft blush of summer, this bedroom exudes calm, comfort, and relaxation. 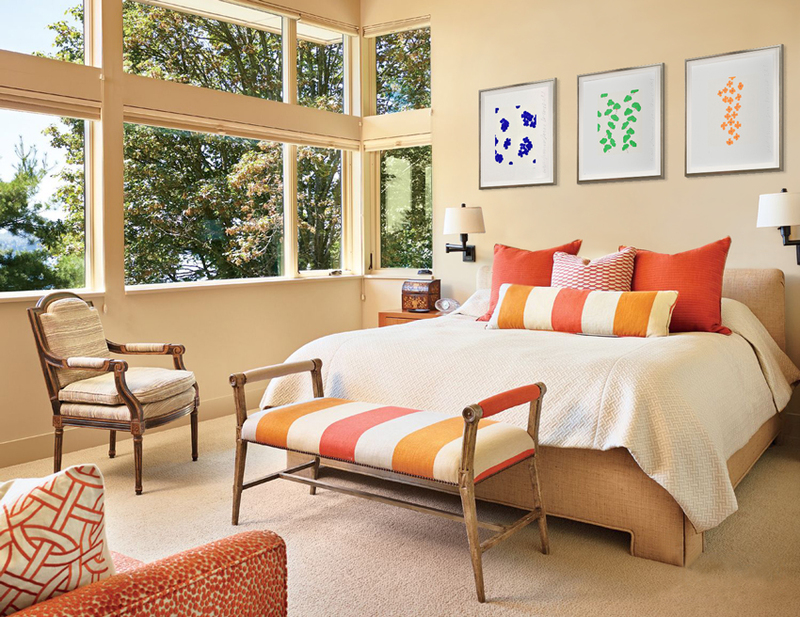 Arrange a soothing interior with art that transports you. 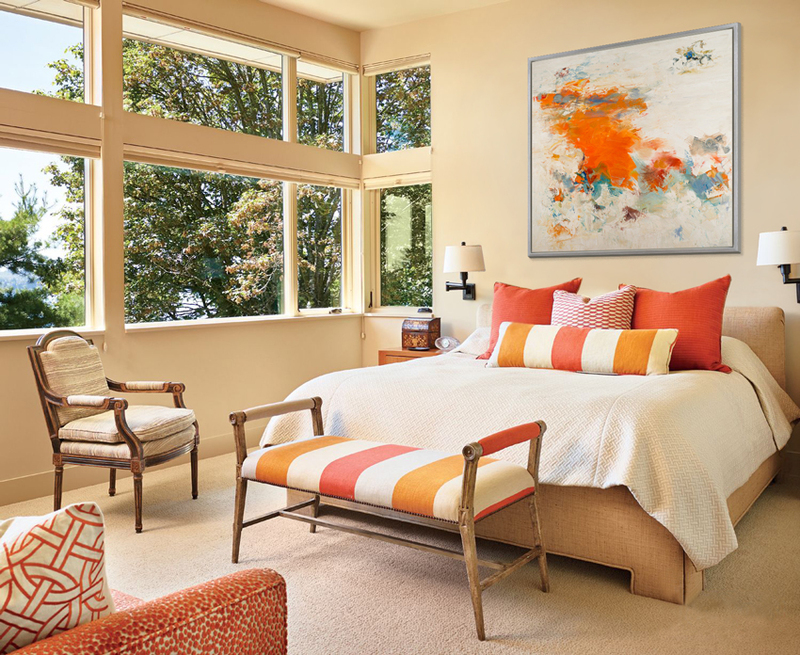 I chose Chris Hayman’s oil on canvas, Snow Passage I, for this bright cream and orange bedroom. The work’s persimmon hues keep in harmony with the bedroom’s palette, while cool bursts of blue add interest to the space. Hayman’s “Feelscapes” are a perfect selection to create movement and texture in any room. Chris Hayman, Snow Passage I, Oil on Canvas, 60 × 60 inches. Donald Sultan’s delicate Wallflowers compositions add a sense of sophisticated playful whimsy to this monochromatic interior. The soft silhouettes of the flowers echo the subtle patterns thought the space and bring the crisp air of nature inside. Donald Sultan, Wallflowers Series, Serigraph, 24 × 22.375 inches ea. To discover more works by Chris Hayman and Donald Sultan, visit the gallery closest to you.